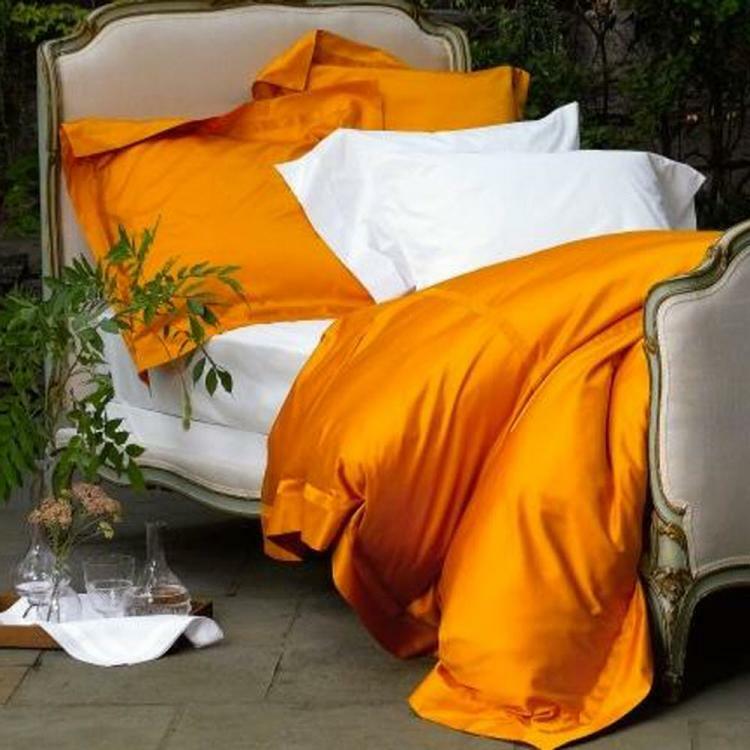 Matouk Nocturne Sateen Bedding Collection is luminous sateen made of Egyptian cotton woven in Italy is available in an array of opulent colors and finished with self-colored 1-inch border for a collection that exudes unrivaled charm. 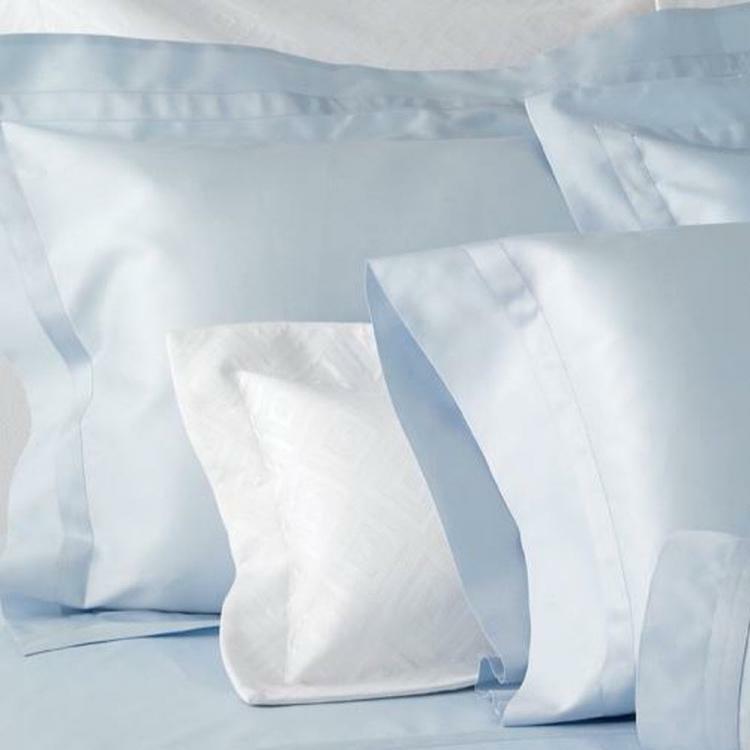 Solid color sheeting with 1" self-tone tape detail in 600 thread count Egyptian Cotton Italian sateen. 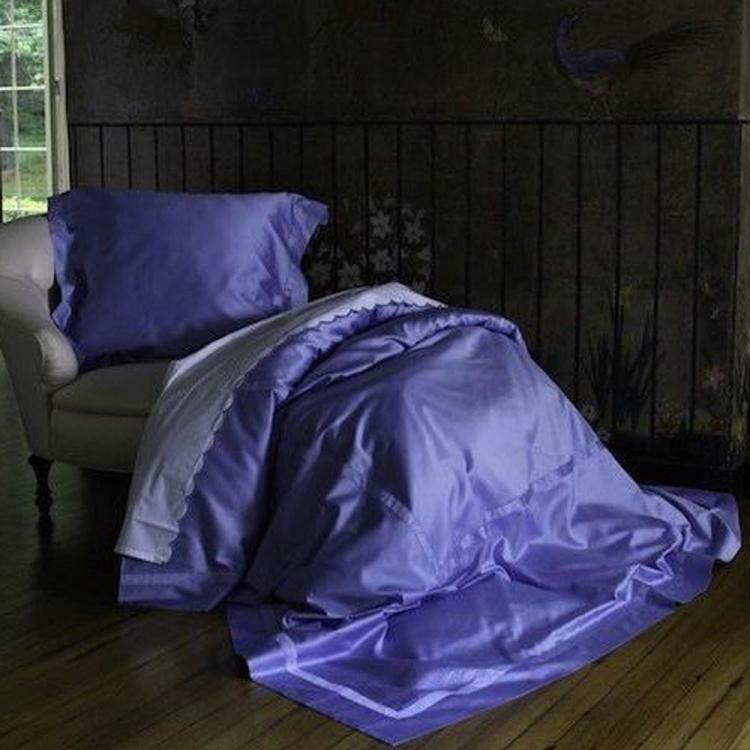 We love all the wonderful colors offered in the Nocturne Bedding. Use three of the Euro shams in the back of all your pillows for a pop of color. Add a duvet at the foot of the bed in the Nocturne Collection. We love to see this mixed with our Lowell collection.LOWELLThe trims in the Lowell have coordinating colors use in the Nocturne Collection. Soft enough to cuddle up for a great nights sleep. If you need help in creating or combining bedding collection give us a call. 864-271-3587 We will be happy to help you. Most of our customer use this bedding and an accent duvet or Euros shams to mix with our other Matouk Monogrammed Collections. So we offer the nocturn fabric choice for the applique fabrics since this is the only fabric we use for applique on Nocturn. We also use this as a thread color chart to ensure an exact match of threads used for nocturn. If you choose embroidery on your bedding we will match the threads to the nocturn tape.